Analyze, quantify and predict the function of nano- and micro- domains in cell biology and neurobiology from structures and biochemistry. Identify principles and computational rules underlying cellular and network functions. Develop predictive methods for medical applications (recent). Construct mathematical framework (analysis and simulations) to compute quantities of interest. We develop physical modeling, mathematical analysis, numerical simulations, softwares and data analysis (Big data of super-resolution single particle trajectories and Hi-C analysis). We focus on basic questions such as molecular trafficking, synaptic transmission in neurons and nuclear organization. Another direction is modeling and data analysis about neuron-glia network interactions in normal and pathological conditions. We recently moved to applied science to medicine : fertility and sperm motion in the uterus and the prediction of brain vascular accidents. 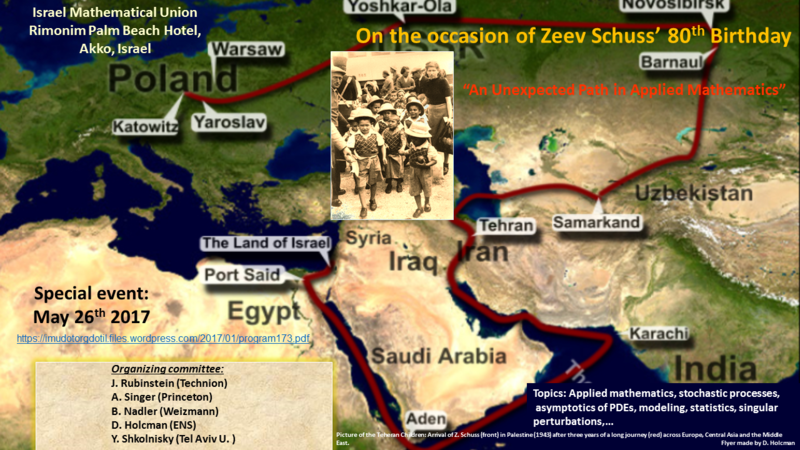 We regret to announce that Zeev Schuss passed away (July 21th). Khanh Dao duc has become (2019) an Assistant Professor at UBC, Vancouver in the department of Applied Mathematics. We congratulate him again for his fantastic trajectory. Claire Guerrier has just been appointed assistant Professor (CNRS) at the U. of Nice. We congratulate Juergen Reingruber for his HDR Dec 5 2016. Marzhieh and Jing got married last year : we wish them a lot of happiness. 2016. D. Holcman was elected in 2015 French Governmental Fellow of the Churchill College in Cambridge, UK. G. Guerrier moved to UBC (Vancouver) in Oct 2016 for a postdoc . P. Parutto is a new PhD student 2015. 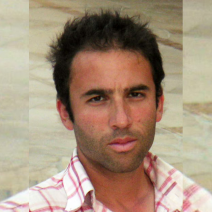 A. Amitai moved to MIT in dec 2014 for his postdoc. D. Holcman became a fellow of the Churchill College Cambridge in 2014. N. Hoze moved to ETZ in July 2014 for his postdoc. K. Dao duc moved to Berkeley in April 2014 for his postdoc. J. Sibille moved to Yale in December 2014 for his postdoc. O Shukron, V Piras, D Noordermeer, D Holcman,Statistics of chromatin organization during cell differentiation revealed by heterogeneous cross-linked polymers, to appear in Nature Comm 2019. K Basnayake, D. Mazau A. Bemelman, N. Rouach, E Korkotian, D Holcman, Fast calcium transients in neuronal spines driven by extreme statistics, PLOS Biology (to appear) 2019. Jennifer Heck, Pierre Parutto, Anna Ciuraszkiewicz, Arthur Bikbaev, Romy Freund, Anna Fejtova, David Holcman* Martin Heine*, Mobile Calcium Channels Contribute to Variability of Pre-synaptic Transmitter Release to appear in Neuron 2019. 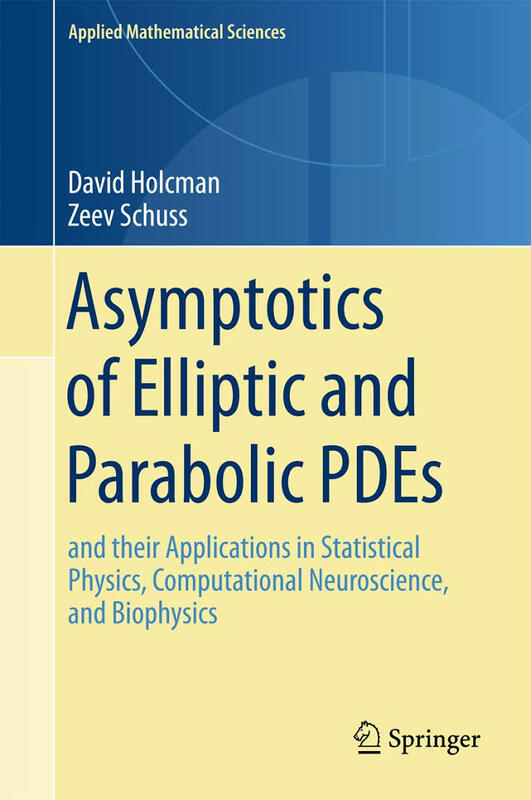 D. Holcman*c, P. Parutto*, J Chambers, L Young, S. Marciniak, C. Kaminski, D. Ron, E. Avezov* c, Statistical analysis of super-resolution single particle trajectories reveals the functional topology of the Endoplasmic Reticulum controlling molecular flows, Nature Cell Biology, 2018. Cartailler J, Kwon T, Yuste R, Holcman D., Deconvolution of Voltage Sensor Time Series and Electro-diffusion Modeling Reveal the Role of Spine Geometry in Controlling Synaptic Strength. Neuron. 2018 Mar 7 ;97(5). Amitai A, Holcman D, Polymer physics of nuclear organization and function, Physics Report, 2017. Amitai A, Seeber A, Gasser SM, Holcman D, Visualization of Chromatin Decompaction and Break Site Extrusion as Predicted by Statistical Polymer Modeling of Single-Locus Trajectories. Cell Rep. 2017 ;18(5):1200-1214. D Holcman, N Hozé, Statistical Methods of Short Super-Resolution Stochastic Single Trajectories Analysis, Annual Review of Statistics and Its Application 4 (1) 2017. !!! !Ready to buy 2018 !!!! !!! !Ready to buy 2017 !!!! How to join the lab ? 2- at a PhD level : you must have spent 6 months of training period in the lab. 3- at a postdoc level : physicists, mathematicians, computer scientists are welcome to apply. 1-Applied mathematics and probability, Mathematical Modeling and analysis. 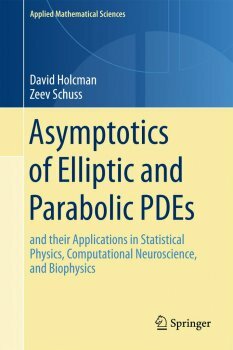 We are developing asymptotic methods and Brownian simulations, to compute mean first passage time formulas, with applications to chemical reactions in microdomains. We develop polymer simulations and derived polymer looping formula using expansion of eigenvalues in high dimensional space. We are developing methods to reconstruct neuronal connectivity from time series using explicit models and computation of the spectrum of the non-self adjoint Fokker- Planck operator. 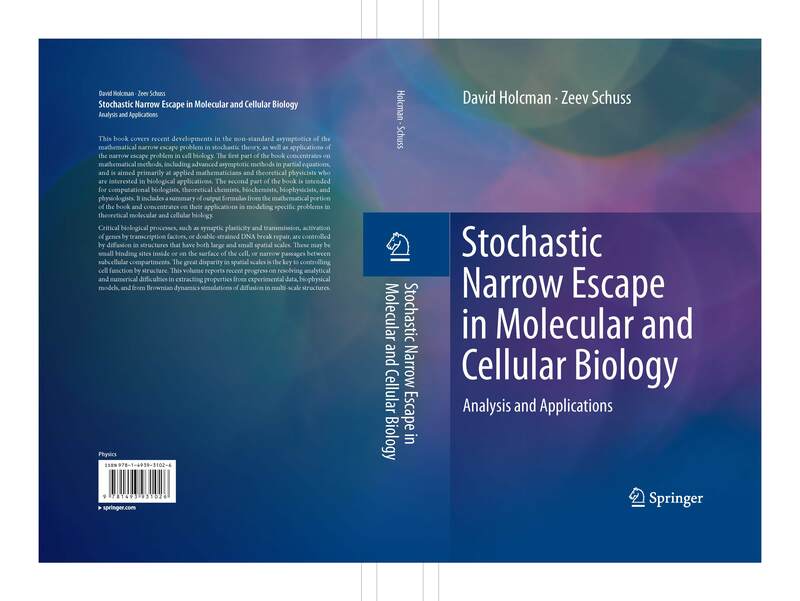 We use oscillation behavior of the escape time for a stochastic process to an unstable limit cycle to reconstruct the mean connectivity underlying Up/down state dynamics. 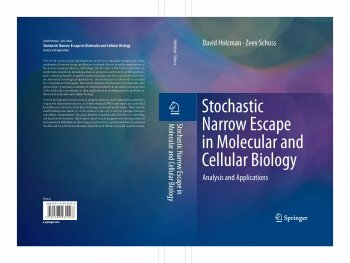 2-Theory of diffusion in microdomains : we are currently developing a theory to describe the escape through small openings and the analysis of single stochastic trajectories. This approach allows modeling and predicting some information about the homologous repair process occurring in the nucleus. 3-Synaptic transmission, trafficking and voltage dynamics in dendrites : we are developing model of synaptic transmission and tools to extract features from superresolution data. We use the Poisson-Nernst-Planck equations to model the voltage dynamics at excitatory synapses and investigate the role of the local geometry. Other projects in integrative biology concern sensor cells, such as photoreceptors, where we built a complete model of the single photonresponse including dark noise in rods and cones. In the past, by using asymptotic analysis, we computed the expansion of the mean time for a Brownian molecule to escape through a small hole located on a piece of a cell membrane (Narrow escape problem). This computation defines the forward binding rate of chemical reactions occurring in microdomains. 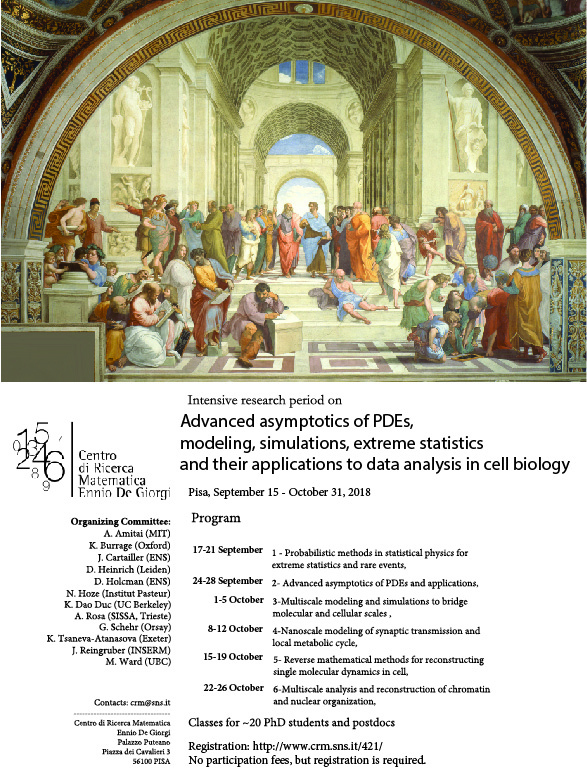 Fields : Computational Biology, Applied Mathematics, Modeling, Asymptotic analysis, Applied Probability, Partial Differential Equations, Brownian simulations, Mathematical Biology, Computational Neuroscience, Data analysis, Physical Virology, Phototransduction, Polymer Modeling, Data analysis of single particle trajectory, Neuron-glia interactions, Nuclear Organization, Statistical Biophysics. 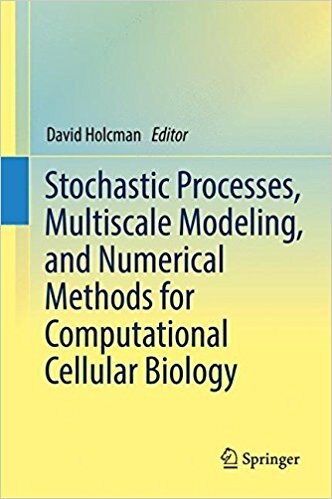 Diffusion, Data Geometry, Brownian Motion, Narrow Escape Time, Dire Strait Time, Asymptotic methods, Mean First Passage Time methods, Markov chains, Aggregation-Dissociation model, conformal methods, WKB expansion, boundary layer analysis, polymer looping, modeling telomere organization, Molecular and Vesicular Trafficking, Synaptic Transmission, numerical Simulations, Early Steps of Viral Infection, Neurite outgrowth. Superresolution data analysis, boundary layer methods, dsDNA break analysis, dendritic spines, modeling calcium dynamics, looping time, synaptic transmission, predictive medecine.